We laughed, we cried and we loved it! We really liked the support characters in this story as much as we loved Lou. The members of the support group providing a lot of laughs, along with Lou’s mother and father. We enjoyed this one more than we had anticipated. 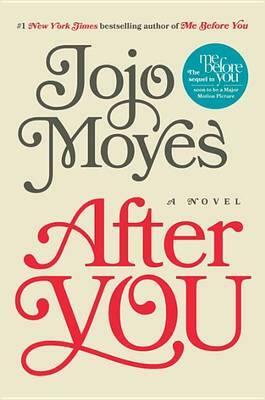 We had thoroughly enjoyed, “Me Before You”, but we were concerned at how this book would work without Will’s voice. However, we thoroughly enjoyed this book too. We would definitely recommend this to anyone who loves a good “chicklit” book. This entry was posted in Book Club Kits, Book Reviews, Books to Screen, Fiction by admin. Bookmark the permalink.